Ed Swartz, left, acting superintendent of Mid-Ohio ESC, welcomed Mansfield Senior High art teacher Mindy Duncan, Senior High senior Megan Supron and Mansfield Senior High principal Dr. Milton Folson to the annual Franklin B. Walter Scholarship Awards Dinner. Megan Supron, a senior at Mansfield Senior High School, is Mansfield City Schools’ 2019 Franklin B. Walter Scholarship Award nominee. Supron and 15 other seniors from client districts of the Mid-Ohio Educational Service Center were honored at the recent scholarship awards dinner at Mid-Ohio, 890 W. Fourth St. Each was selected on the basis of their academic success and school and community service. Each student read aloud their tributes to an educator who has had a positive impact on their lives. Supron’s essay recognized Mindy Duncan, Senior High visual arts teacher. Three area students received $500 scholarships from the Mid-Ohio ESC Board of Governors based on their school grades, test scores, activities and essays. They are Kaylyn Gimbel, Galion City Schools; Lin “Abbey” Tan, Ontario Local Schools, and Ryland Thomas, Northmor Local Schools. One additional $500 scholarship was awarded to Amber Jamieson, Madison Local Schools, by Startek Mansfield. 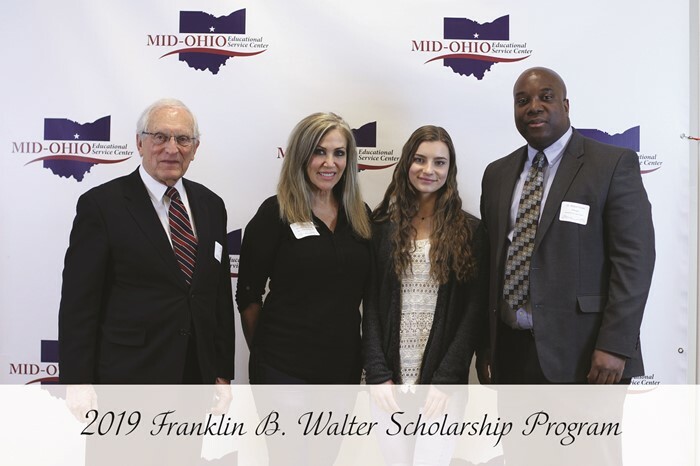 The Franklin B. Walter All-Scholastic Awards program was established by the Ohio Educational Service Center Association to honor Walter, a former state superintendent, and to promote student achievement and recognize academic accomplishment. One student from each of Ohio’s 88 counties will be honored at a ceremony in Columbus in April. Tan will represent Richland County while Gimbel will represent Crawford County.